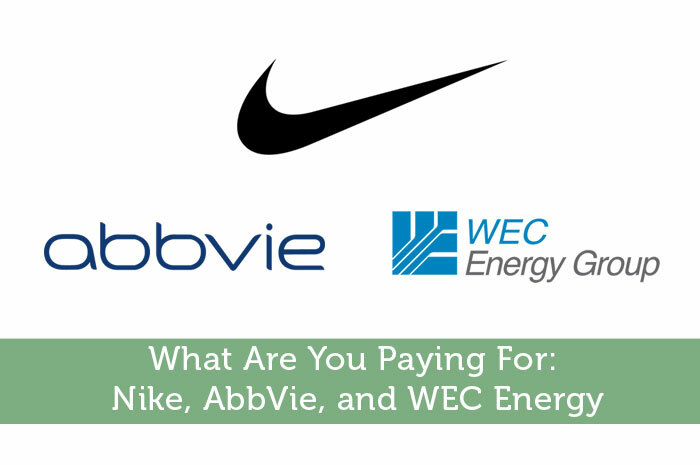 The only thing Nike, AbbVie, and WEC Energy have in common is they are currently trading in the same price range. Nike is an apparel giant, AbbVie is a biotechnology company and WEC Energy is in the ever regulated utilities sector. But because each of them is trading in a very attractive price range for their industries, it’s important to remember that there is more to a company than its price. There are underlying factors that help you assess if the price is worth paying for each company. Nike is the brand of the Olympics through 2020. They will be sponsoring the entire US national teams and many of the Brazilian national teams. Nike over the past couple of years has been fighting off the uprising of newcomer Under Armour that has taken the #2 spot on the list of most popular sports apparel manufacturers. But what has sustained Nike is the sheer amount of cash they have on hand. Nike has $3.14B in cash and cash equivalents, where Under Armour has $129.9M. Nike’s current ratio indicates that they can surely pay their debts with cash on hand pretty quickly and almost 3 times over if necessary. Nike saves money on manufacturing because they don’t own any of the factories their apparel is made in. They save on capital expenditures in that way. However, you would expect them to come out of pocket a bit more for their investors and bump the dividend up to at least a soli 2.5% with that much cash available. But considering the stock price is currently trading well below it’s 52-week high, I think there is definitely returns to be made on the current price. Biotechnology and pharmacy are definitely in my top 5 of sectors to watch simply because the growth potential is incredible. Competition is also at fever pitch at all times as patents expire every 7 years, generic drugs pop up with similar content and price wars ensue each day. Mergers and acquisitions are also common space in this sector. Bigger companies are always looking to bring in the specialty that a smaller company offers. Another thing that is apparent in many companies focused on expansion is the level of debt. AbbVie has good reason for their large amount of debt. 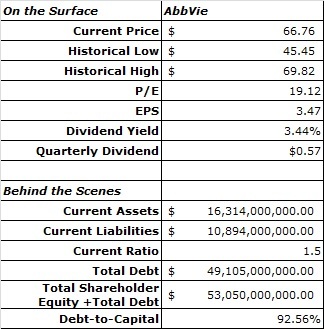 As the producer of the HUMIRA drug, AbbVie has a poor current ratio and extremely alarming 92.56% debt-to-capital percentage. Not much equity to be had it seems, but they’ve made two huge acquisition deals that have made AbbVie more profitable year over year. They spent $5.8B on Stemcentrx Inc. and $21B on Pharmacyclics Inc. in June 2016 and 2015 respectively. Both of these companies focus on particular types of cancer treatments. So all in all, AbbVie is heavily investing in the battle against cancer. I’m on their side. Regulation of the energy sector really can take a toll on a company’s profitability. Many companies in the industry find the solution is to consolidate. On the east coast and parts of the Midwest, Duke Energy and Progress made headlines in the early 2010’s with their merger. This year, Wisconsin Energy Corporation purchased Integrys Energy Group for a $5.8B. By expanding their reach, WEC is now serving more revenue generating customers. This purchase also moves WEC up the ranks to #8 on the list of largest natural gas distributing companies in the US. In addition to creating more revenue opportunities, WEC also offers a hefty dividend. Others in the energy sector offer great dividends as well (i.e. 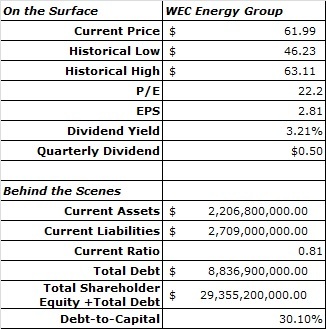 Duke Energy, Southern Company), but not many have revenue growth opportunity like WEC. 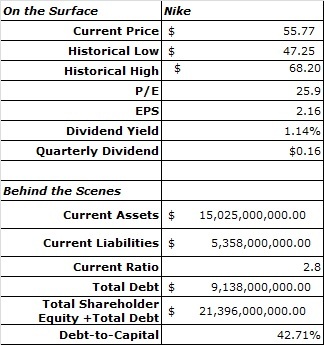 As a dividend seeking investor, Nike’s dividend just is not appealing to me for the price. I’m willing to take on the growth opportunities for WEC and ABBV despite the higher levels of debt. Native of Charlotte, NC interested in educating people about the opportunities in the stock market. Visit xisforxcellent.com for company reviews, small business highlights, educational posts on the stock market and personal finance topics. X. Johnson is also the host for the X is for Xcellent podcast available on iTunes with new content weekly.